© 2011. Dover High School football. Sept. 2, 2011. Portra 400. 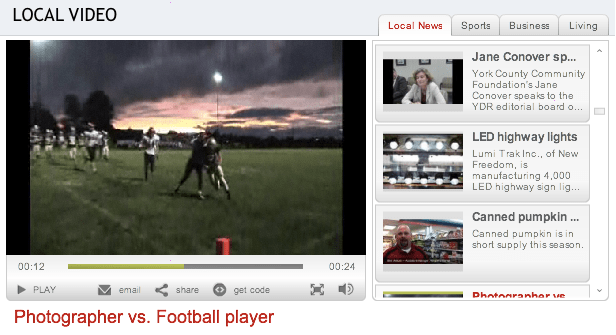 Click on the image above to watch the video of a football player taking my knee out. oh, that hurt. i think that every sports photographer has had that happen to them. i was doing a basketball game when that happen to me. i was lucky that i didn’t get hurt. i hope that your alright chris.